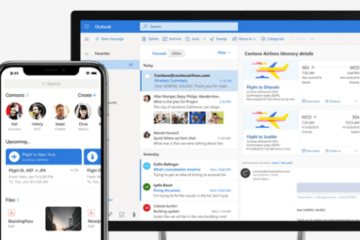 Windows 10 October 2018 Update version 1809, codename Redstone 5, is the new major update for Windows 10 operating system. It’s the second update part of the semi-annual release for the OS (first part being the April update). Like all previous major updates, it brings huge enhancements and numerous new features to Windows 10. This post explains how to update your existing Windows 10 to the 1809 update and how to download Windows 10 October 2018 Update v1809 ISO from Microsoft. The release date of Windows 10 October 2018 Update 1809 is expected to be on 9th of October. 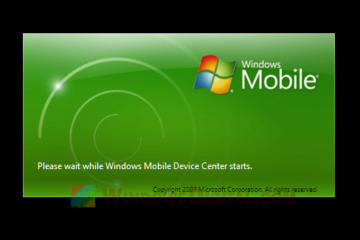 In some cases, the rollout may be late by a day or two depending on your location, if you are relying on Windows Update to automatically update for your PC. However, if you know how to update your Windows 10 using the ISO (or if you want to do a clean installation), you can download and use the Windows 10 October 2018 Update 1809 ISO instead. If your objective is to get your PC updated to the October 1809 update, we recommend you to just run Windows Update and let it do the job for you automatically. If you instead want to download the Windows 10 October 2018 update 1809 ISO file for your own purpose, here’s how to get it. 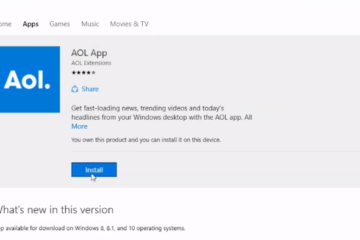 The original download page for Windows 10 ISO with the latest update is on this page at Microsoft.com. 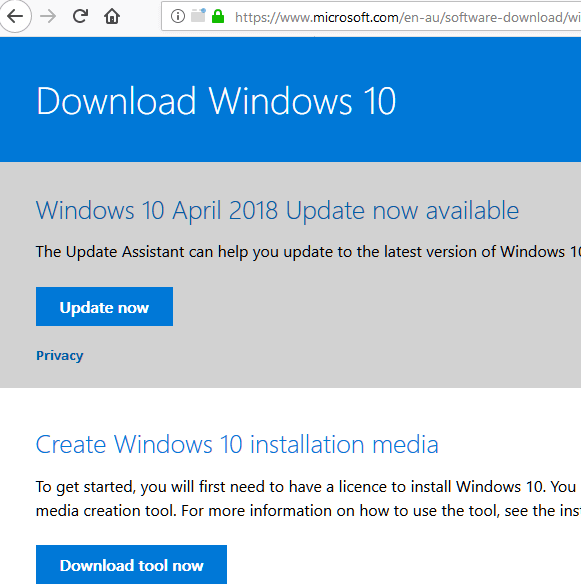 However, if you visit to this page on a Windows PC, you will only get to see the “Update now” or “Download tool now” button which doesn’t actually download the Windows 10 October 2018 Update 1809 ISO. The Windows 10 ISO will only be visible on device that is not running Windows related OS, for example, on a Mac, Android or other OS device. 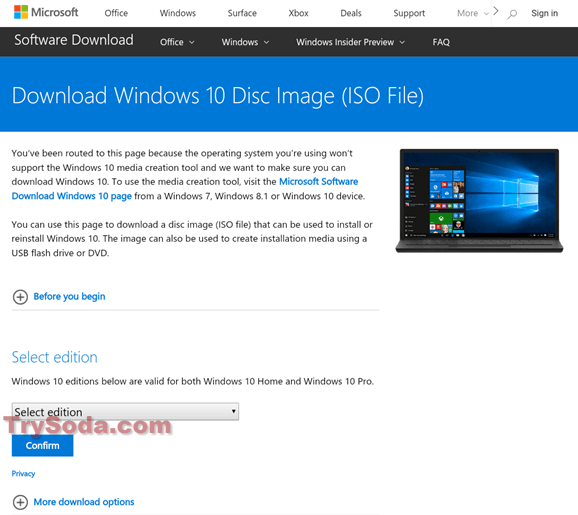 To quickly check on that, you can use your iPhone or Android phone to visit to the same page and you shall see a different download page with the heading that says Download Windows 10 Disc Image (ISO file) similar to the screenshot below, which you can never see it on a Windows device. By clicking on the select edition, you should be able to see the Windows 10 October 2018 Update version 1809 from the list of selections (there is basically only one available option). 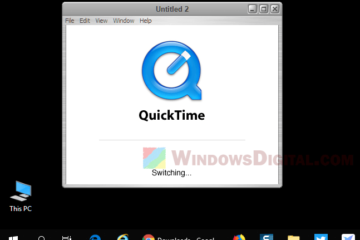 Then, click on Confirm and the Windows 10 October 2018 Update 1809 full installation ISO file download should start right away. So, if you truly want to download the Windows 10 October 1809 Update ISO file, you must use a device or computer that is not running Windows OS. After downloaded the ISO file, you can then copy the file over to your Windows computer. 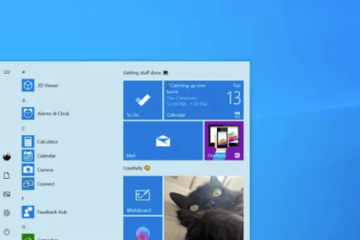 The Windows 10 ISO file is usually used for clean installation purposes. If you only want to update your existing Windows 10 to the October 2018 v1809 update, the best method is still by using Windows Update. If for some reasons you cannot use Windows Update and need to rely on something else, you can head to the same page as mentioned above and use the Windows 10 Update Assistant instead. If not even the Update Assistant can help you, you can try using the Media Creation Tool which can also be downloaded from the same download page (the Download tool now button) to create Windows 10 installation media that comes with the October 2018 version 1809 update. The created Windows 10 installation media can be used on any computer to install or update to the Windows 10 October 2018 Update version 1809. Additionally, Microsoft has implemented a machine learning model to stops Windows Update from running when you are using your PC. This is to prevent Windows Update from using up bandwidth and slowing down your computer when you are in the middle of your work. So if you are onto something but wanted Windows Update to run, try to close all programs before trying to run Windows Update. 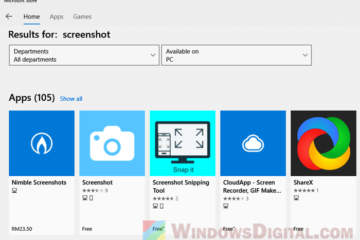 Description for sharing: Download Windows 10 October 2018 Update version 1809 ISO file (download link) from Microsoft for Windows 10 Pro or Home 64 bit / 32 bit.